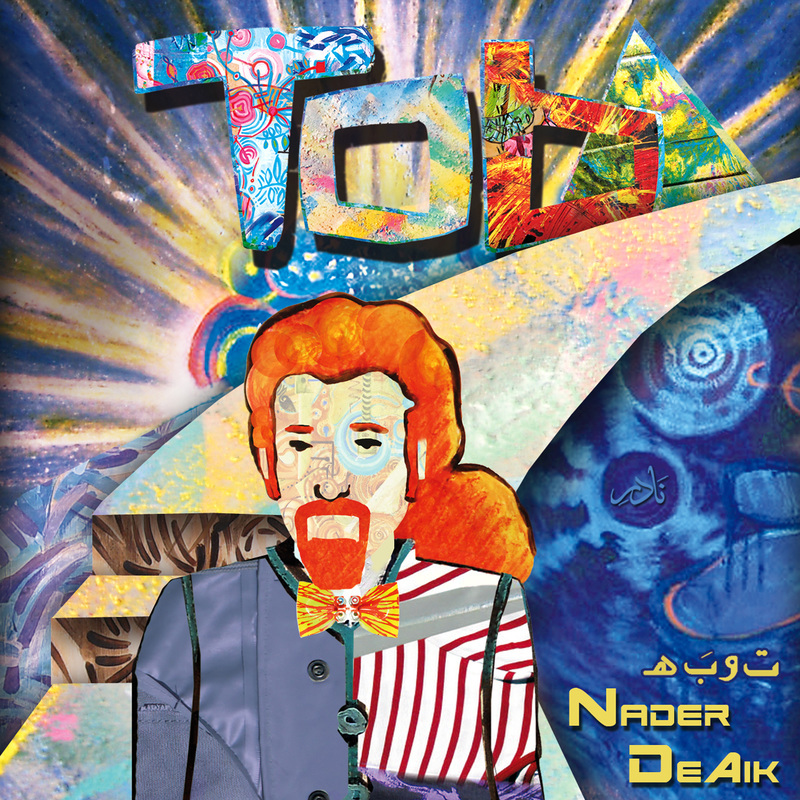 “ALBUM ‘TOBA’ IS A REFLECTION OF Nader DeAik's EXPERIENCES & OBSERVATIONS OVER THE YEARS INFLUENCED BY GLOBAL CHANGES, PEOPLE’S EVERYDAY EXPERIENCES AND EMOTIONS SUCH AS LOVE, HEARTBREAK, HUMANITY, ENLIGHTENMENT, FAITH, HOPE, FREEDOM AND CELEBRATION." Allot of love, and passion went into the creation of Album "Toba". ND had an epic musical journey in mind when writing and producing the 12 original tracks to create a unique, electric, atmospheric, mystic and melodious destinations transforming the listener into a voyager, exploring various world music genres. Album Toba includes world class musicians, sound and editing engineers. check out the CREDITS. Nader DeAik's first composed melody found its way in song "Ashufak". The melody was composed in year 1997. Rachid Taha in song "Huriti" about Humanity, Love and Peace. Soprano singer Monica Raphael. In song "La Takrah" about keeping the Faith. Caballo singer Cris Matos. In song "Pa'lante" about moving forward with love, rhythm and celebration. Hip Hop solo artist Opium Sabbah. In song "Fa Younik" an Earth song. 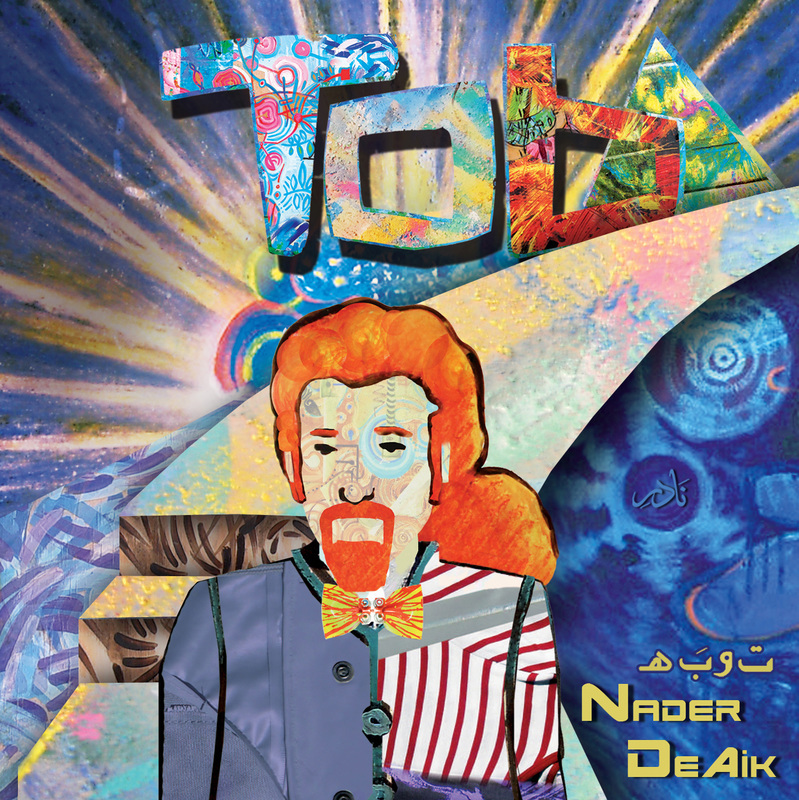 Nader DeAik's second studio album endeavor. A mystical journey that will transform the listener into a voyager. Exploring twelve original musical destinations in a unique atmospheric melodious world. ​The listener will embark music genres and sounds from all over the world. The tracks' rhythmic undercurrent bears testament to traditional Middle Eastern percussion and sounds driven by electronic elements and dance beats (EDM), while the music is punctuated throughout with funk, surf, Latin, hip-hop, urban, rock, classical or ska undertones. Album "Toba" will not only stimulate listeners' auditory senses but will also invigorate their visual sensors with its unique cover and booklet artwork acting as a visual guide into the album's twelve musical destinations. ​Artwork by Juan De dios Reyes. Juan based his Artwork according to the vibe and message of each track in Album Toba. Juan worked closely with Nader DeAik to ensure the vision and sound of the Album is transformed into a unique Artwork making album Toba's booklet a one of its kind. As Juan said "He wants to translate the Album's escuro with tropical tones feel into the Artworks." Each track's title Artwork includes a piece of the song's original visual Art. Guest Soprano singer Monica Raphael wonderful vocal performance was recorded in Mexico City.